Nazareth – On August 31, 2012, the United Nations Human Rights Committee (HRC) requested answers from Israel to 26 questions covering the national human rights situation, including new developments since the last meeting. Israel signed the International Covenant on Civil and Political Rights (ICCPR) in 1991. 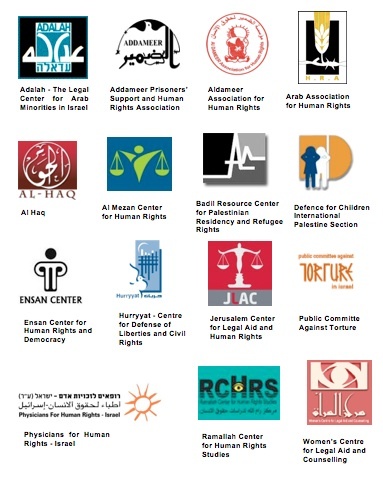 Israel must respond to this “List of Issues” in the report to the HRC in 2013. The report will be used to judge Israel’s compliance with the ICCPR and will guide future HRC recommendations. Please provide detailed information on any significant developments in the legal and institutional framework within which human rights are promoted and protected at the national level that have taken place since the previous periodic report, including any relevant case law. Please provide updated information on developments aimed at ensuring the full application of the Covenant in Israel, as well as in the Occupied Palestinian Territory, including East Jerusalem and in the Occupied Syrian Golan. Please indicate any step taken to include the principle of equality and nondiscrimination in the Basic Law: Human Dignity and Liberty, and to repeal any discriminatory laws. What measures have been taken to ensure linguistic rights of Arab citizens of Israel? Please provide detailed information on efforts made to end the practice of administrative detention and whether the State party envisages withdrawing its derogations from article 9 of the Covenant. Please also indicate any measures taken to ensure that civilians are not tried before military courts and provide information on cases of ill treatment of detainees and arbitrary detention, in particular in cases of “shabah” and beatings. Please provide information on measures taken to revoke the Citizenship and Entry into Israel Law (Temporary provision) and to review the State party’s policy with a view to facilitating family reunifications for all citizens and permanent residents without discrimination… Please also provide information on steps taken to ensure the right of Israeli citizens and residents of East Jerusalem to marry or live with a Palestinian partner. The HRA calls on Israel to make a forthright and conclusive effort in responding to the concerns we highlighted here in the report to the HRC in 2013. The State of Israel, in signing the ICCPR, is obliged to uphold international standard of human rights and humanitarian law. Accurate censure of human rights abuses within Israel is a necessary condition of upholding those standards and that is what the HRA calls on the State of Israel to do in this report. Additionally, the HRA calls on Israel to implement the ICCPR and apply it to its full intent with regards to the Arab Palestinian minority.